I always associated lavender with potpourri, soap, aromatherapy, etc., so I was really excited when my parents gave me a tin of culinary lavender all the way from Bridestowe Lavender Estate in Tasmania, Australia. The good people at Bridestowe even provide some hard copy lavender recipes free of charge! 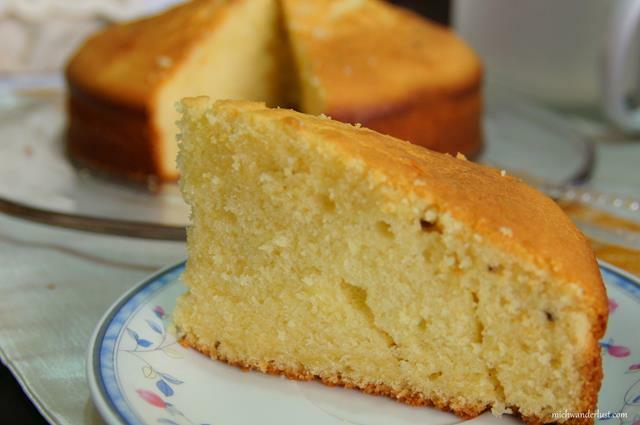 I decided to try the lavender butter cake one because it only required a few ingredients, all of which I had on hand, and it was surprisingly easy to make. 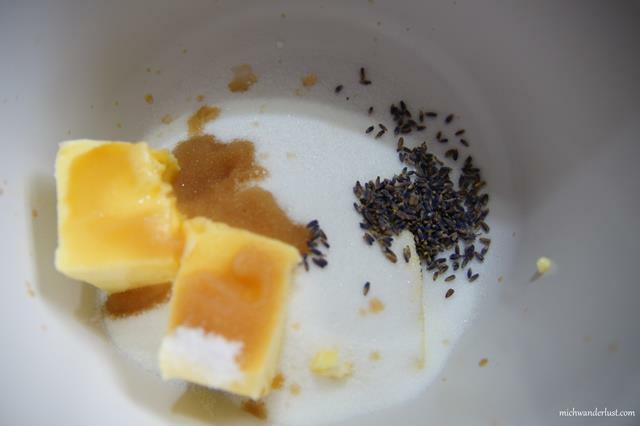 This is seriously all you need (clockwise from top left): 264g self-raising flour, 158g caster sugar, 170ml milk, culinary lavender (I used about 3/4 tsp as I didn’t want an overpowering lavender flavour), 170g butter (I used SCS unsalted butter), 2 tsp vanilla essence and 3 eggs. 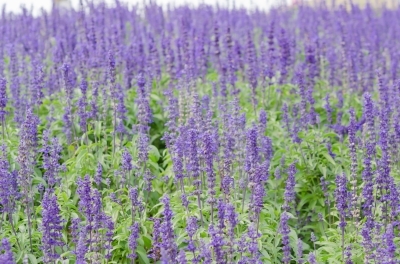 Apart from the lavender, all readily available at supermarkets. When I bake I let the eggs sit at room temperature as long as possible before adding them to the mixture, and I add them one at a time. If you don’t do this the mixture might look curdled, which sounds awful but isn’t as bad as it looks. 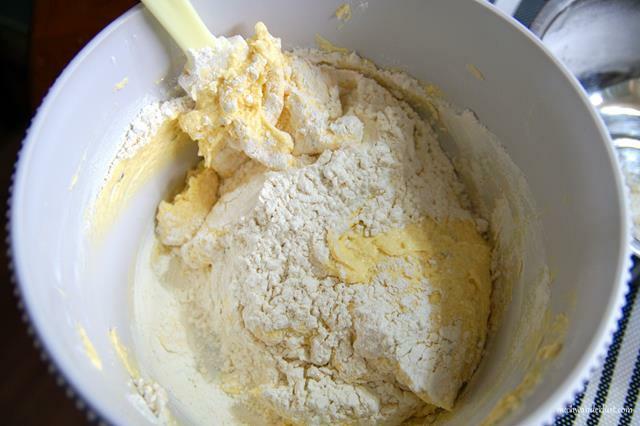 You can continue working with the “curdled” mixture, and it should still turn out fine. I’ve only had this “curdling” issue once though – after that, I’ve been very careful about the eggs. I split up the flour and milk into 3 batches each. Folding in stuff is easily my favourite part of the whole process – it’s just very fun to see the ingredients slowly integrating. It’s a bit tricky though – be careful not to overmix them or the cake will come out rock hard. I say this from bitter experience! Of course, the million dollar question then is: how do you know when to stop mixing? In the case of this particular cake it was quite easy to see when the flour was incorporated (i.e. no more white showing) and I considered the milk incorporated sufficiently when there weren’t obvious pools of liquid in the batter. And then I transferred the batter into the cake tin and baked – this is the tricky part for me. The recipe called for 160°C but I usually set my oven at 10-20°C lower so this time I tried 150°C, but the cake still domed like a volcano, with a giant crack at the top to boot. I’ve done Googling on this issue and it appears that this is caused (among other things) by the cake not baking evenly (no sh*t, Sherlock) due to the sides of the cake setting first (as the metal tin conducts the heat faster) while the centre of the cake continues to rise (see for example this very helpful post by Rose from Real Baking with Rose). I might try the baking strips idea next time to see if that works! Baking time for me was about 45-50 minutes. Trust the skewer test though! Fancy a slice of my “volcano” cake?